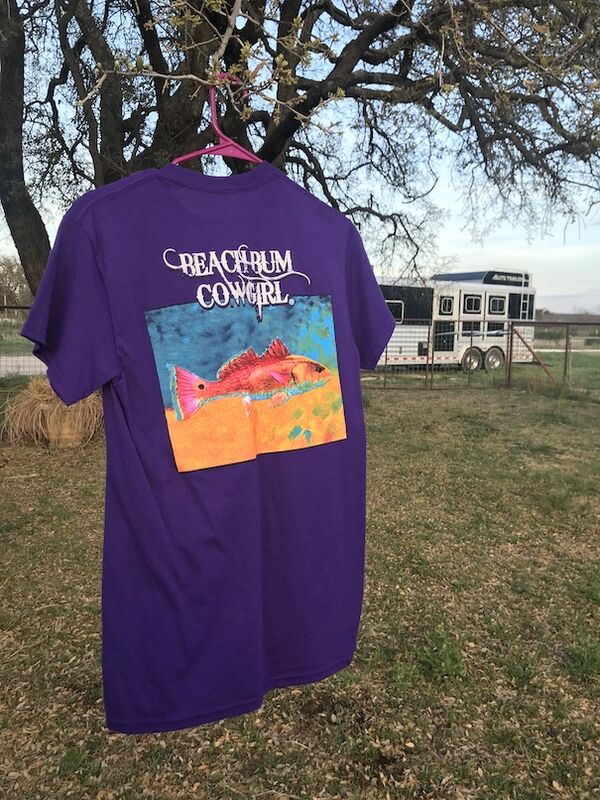 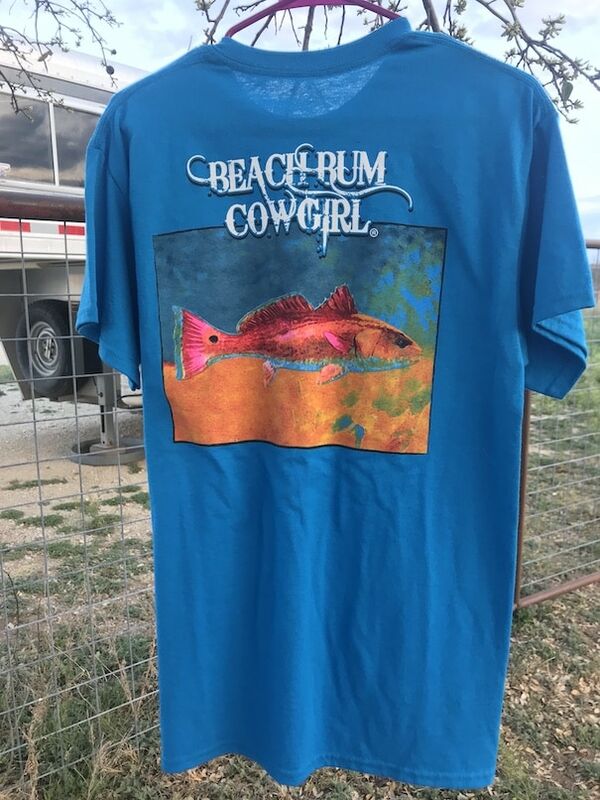 This Beach Bum Cowgirl Wild Redfish Design is on a Gildan Dry Blend Short Sleeve Tshirt. It is 50% Cotton and 50% Polyester. 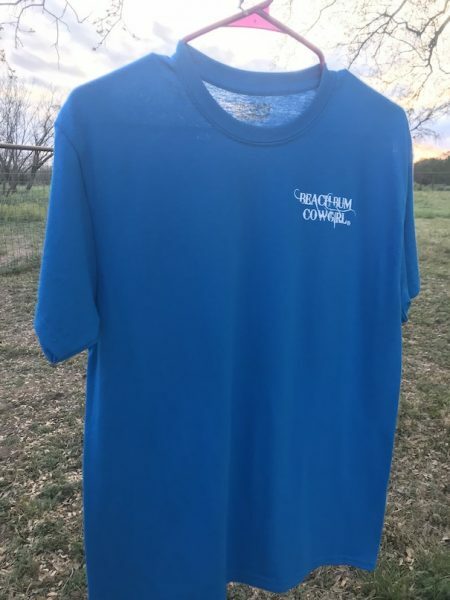 It is a very comfortable fabric.